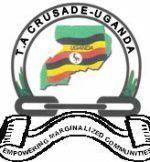 T.A-CRUSADE- UGANDA prides itself in establishing Uganda’s first Youth and Women Not for Profit Job Connection Centre in Agip Village, Opposite ECO Bank, Mukono Town. Twekembe Employment Centre was the organization’s first major project and due to its solid foundation has to date connected over 19000 Vulnerable Youth and Women to Employers. Many lives have been transformed courtesy of this innovative self sustainable service.